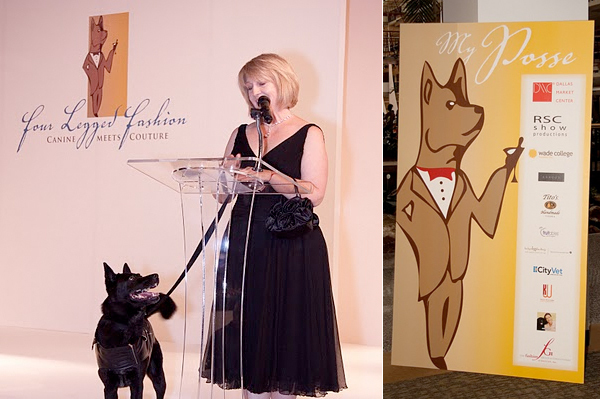 Love My Dog was recently on the catwalk in Dallas, Texas. Enterprising dog owner, Terri Tomlinson, and her mixed-breed rescue pup Frank, organised the third annual Canine Couture event to raise money for abandoned pups. Frank sported our new ‘Elwin’ quilted tattersall coat and our signature Deerstalker hat, bringing a touch of British country style to the proceedings. The event raised lots of money and we’re delighted that Love My Dog could be part of it. In fact, www.fourleggedfashion.org has now raised over $12000 over the last two years. We’re always happy to help charity events for dogs, so do get in touch if you’re raising funds for a worthy doggy cause.